The 2016 Academy Awards, hosted this year by Chris Rock, take place on Sunday 28th February! Taking account of time differences etc, just how can film fans in the UK watch the Oscars? Presenters and nominees will begin their walk down the red carpet at 7pm local time and the ceremony itself is due to start at 8.30pm. For UK viewers, this means that the red carpet starts at midnight and the event at 1.30am. If you want to watch the Oscars live in the UK (the awards are being broadcast by ABC in the US), you can do so via Sky's dedicated Oscars channel (live until 6th March). Hosted by Alex Zane and featuring a panel of film critics. You can also watch via your NowTV subscription. If you do not fancy watching the Oscars on television, you can always catch the winners on social media. The Academy has its own Twitter account (@Oscars_Live) and many film websites and critics will be staying up and live tweeting the results. Click Here To See The 2016 Oscar Nominations In Full! The Oscars have had a controversial few months. I can only hope that the outcry over the lack of diversity prompts real change at the Academy and in the film industry as a whole. This is not just an Oscar issue after all. It is always worth while to review rules and procedures to ensure that the very best talent - regardless of that person's colour, gender, sexual orientation physical or mental ability - is recognised and rewarded. Meanwhile, I have found that the more films I watch, the less relevant awards ceremonies are to my movie viewing. I do tend to find my own way these days. However, I also enjoy any event that celebrates a superb year in the film industry and so I will be watching and reporting on the Awards. 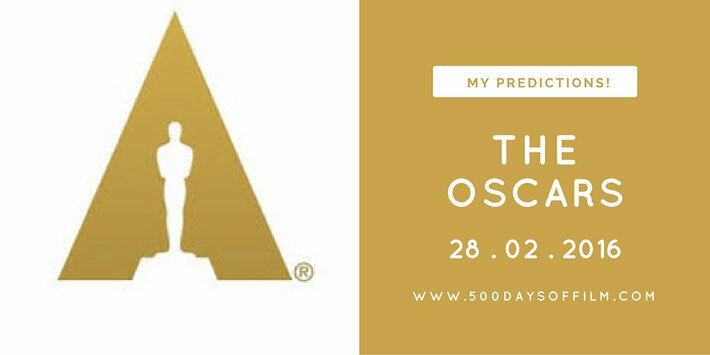 Having made my predictions for the 2016 Academy Awards (note: these are the winners that I think the Academy might choose not my own personal favourites! ), we'll see just how many winners I get correct. More importantly, what do you think? Do you agree with me or disagree? Whatever the case, I'd love to know... leave me your thoughts in the comments box below!